The Bharatiya Vidyapeeth Deemed College of Engineering is a highly reputed centralized college of engineering in Maharashtra. It was established by Mr Patangrao Kadam in the year 1983. In 2000, the college became a constituent of Bharatiya Vidyapeeth University. This private traditional institute offers multiple technical and professional courses for the students of Bachelor’s and Master’s level. The premises of the BVDU College of Engineering are extending over the area of 85 Acres which will be organized by the 174 faculty members. The Bharatiya Vidyapeeth Deemed College of Engineering offers a well-established environment for the potential contestants of Maharashtra region. All the courses of this engineering school are accredited by the National Board of Accreditation and recognized by AICTE & UGC. 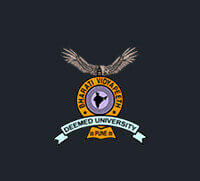 The BVCE is affiliated with Bharatiya Vidyapeeth University. The college is recognized by the UGC. The courses of the college are accredited by the National Board of Accreditation. The college is an AICTE recognized college. The NAAC has given it ‘Grade A’. The Bharati Vidyapeeth Deemed University College of Engineering works progressively in the path to preserve the traditions and cultures of the campus for the intellectual performers of the institute. The National Institute of Ranking Framework of the Ministry of Human Resource Development has given BVDUCE 66th position in the overall ranking. The ‘Outlook Magazine’ assigned it a 45th position among the top engineering colleges across India. The Bharati Vidyapeeth Deemed University College of Engineering has overall three campuses at Lavale, Erandwane, and Pune, India. Talking more about the facilities offered by the college ground, the institute offers Hostel facilities for boys and girls, Cafeteria, Gym, Sports Complex, Convenience store for shopping, Library room, Auditorium, and Bank benefits. The Lavale campus is widening in an area of 350 acres. It has all amenities within the campus itself. Within this campus, there are total 24 colleges including Medical and Engineering college. The institute has five engineering branches, each with 60 seats. The Dhanakwadi college campus is spread in an area of 85 acres. It has canteens, ATM facility, Bharati Bank Branch and the whole campus is covered with greenery. There are 5 colleges within the Erandwane Campus. All facilities for students like canteen, dispensary, library, hostels, playground etc are all located on the college campus itself. Through GATE/ BVP-CET and marks obtained in Class 12th and Bachelor’s Exam. The institution provides the benefits of the admission seekers in the form of UG, PG, and PhD Courses. Through this article get all the latest updates and information about the college premises and its process of application. Check out the latest details of the engineering course structure in the prescribed format. The university offers B. Tech and M. Tech in different specializations for the commendable students of the country. Enthralling students who want to pursue B. Tech and M. Tech in this reputed college need to fulfill the basic eligibility criteria determined by the campus. A student should have passed Class 12th or equivalent in PCM subjects from a recognized board or equivalent. The Mathematics and Physics should be the compulsory subjects in Class 12th. He/ she should have a minimum aggregate of 50% marks. The reserved category candidates should have a minimum aggregate of 45% marks to become eligible for admission. There is no age limit to apply for admission in this college. Admissions are done on the basis of candidates score in the BVP-CET scores. A student should have passed B.E/ B. Tech or equivalent from an AICTE recognized college/university. The process of application for the campus ground will be done via online or offline mode. Students who select the option of online payment need to pay their application fees through Debit, Credit or Net Banking option. For offline mode, fellow candidates require to pay the fees via Demand Draft. Candidates should visit the official website of the University for the Application in B. Tech and M. Tech courses. A candidate should get registered first to get access to the application form. They should fill all the specified columns of the application form and upload the scanned copies of photo, signature and other required documents along with the application form. After this payment of ₹ 1700 will be done via Credit or Debit Card. The application form should be submitted before the last day of the application. Some of the well-known companies coming for campus placement are-IBM, Amdocs, Polaris, Indian Army, Adobe, Sanmar, Sigma, Mind Tree, HP, Zensar, TVS, Quickheal, Steria, XL dynamics, Deloitte etc. 15 % seats in the B. Tech are reserved for NRI/ Foreign/ O.C.I category students. Out of total seats in M. Tech courses, 5% seats are reserved for sponsored candidates, and 3% is for SC/ ST students.